Family tree by Bill Jehan. Baptism of Louisa Finn, 1807 [Dingle CoI par records]. This is a copy of the original. The original survives in the register in [RCB]. would be after grandmother, bapt 15 March 1807 [Dingle CoI par records]. Katherine Finn, mar John Saunders. Marion Cotter, born c.1873, New Jersey. he is listed in [Foster's Royal Descents, vol.4, 1886] but this may be just error for Blennerhassett (they do not list Blennerhassett). bur Greenridge Cemetery, Saratoga Springs (see map and street view). Louisa Cotter, family name comes from great-grandmother. 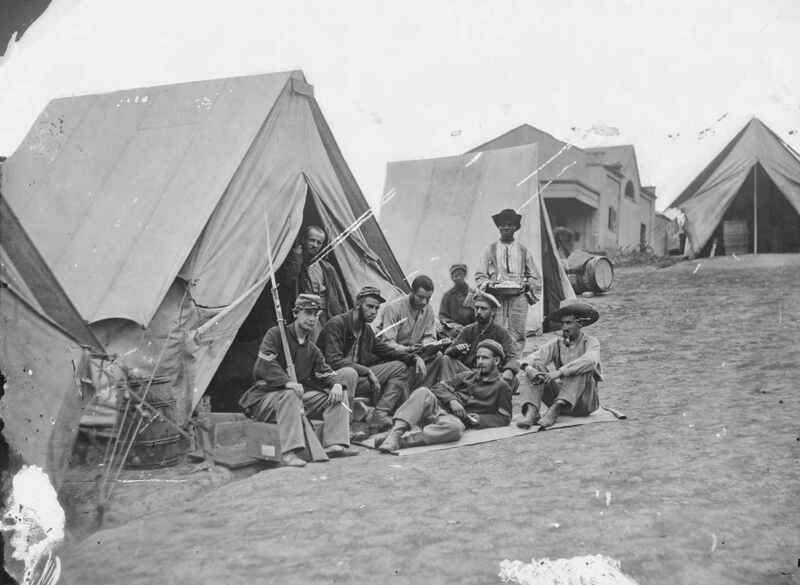 71st New York Infantry at Camp Douglas, 1861. 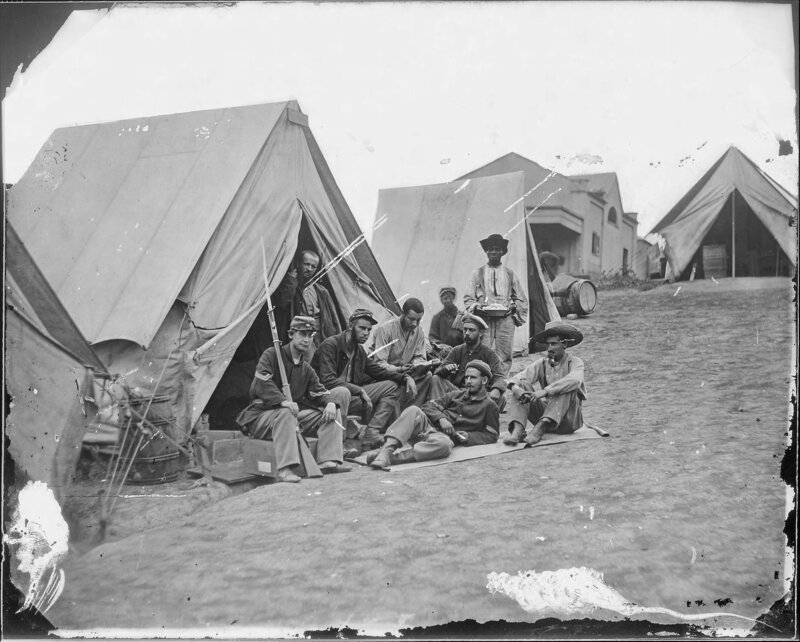 Photo Number B-90 in Matthew Brady Collection of Civil War Photographs, [NA.US] T252. See larger and full size. From here.